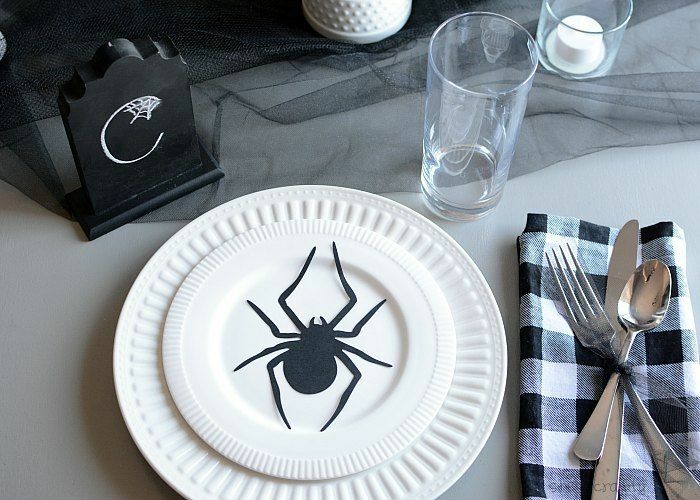 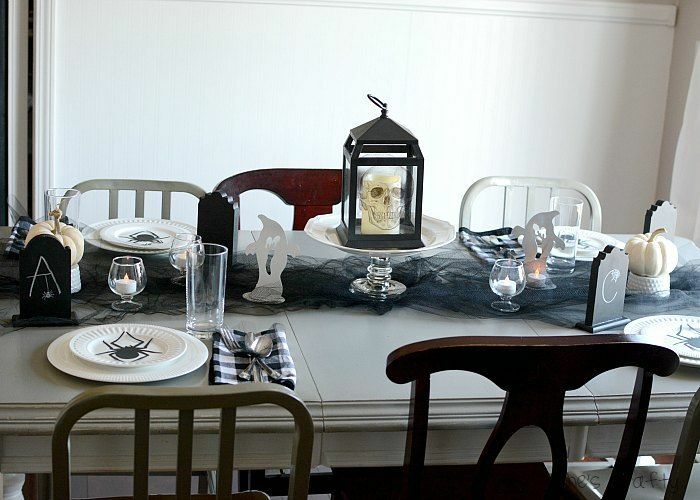 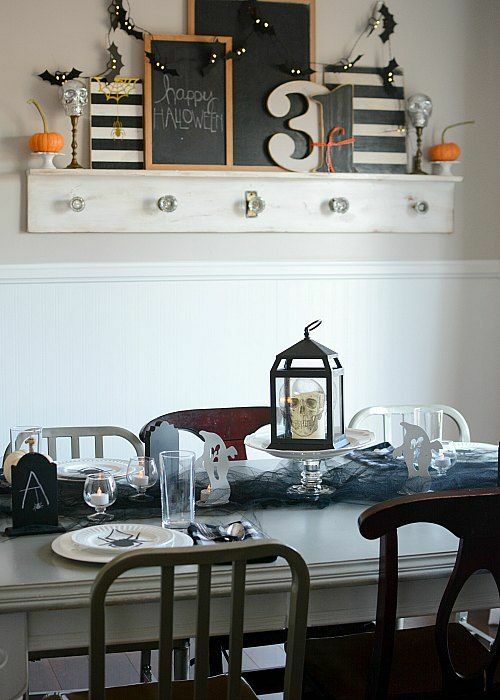 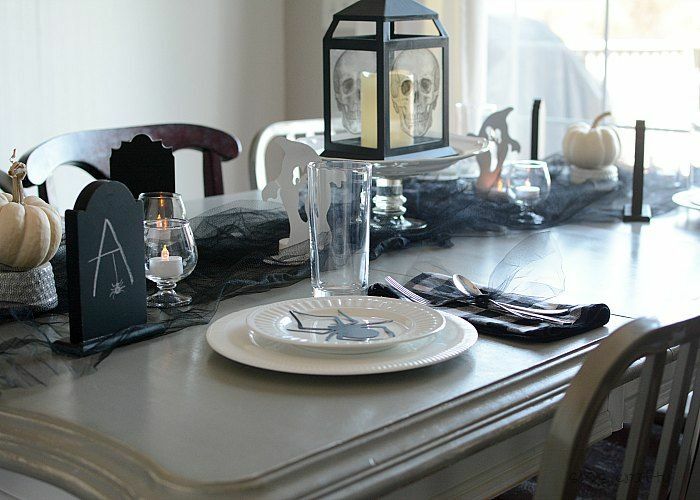 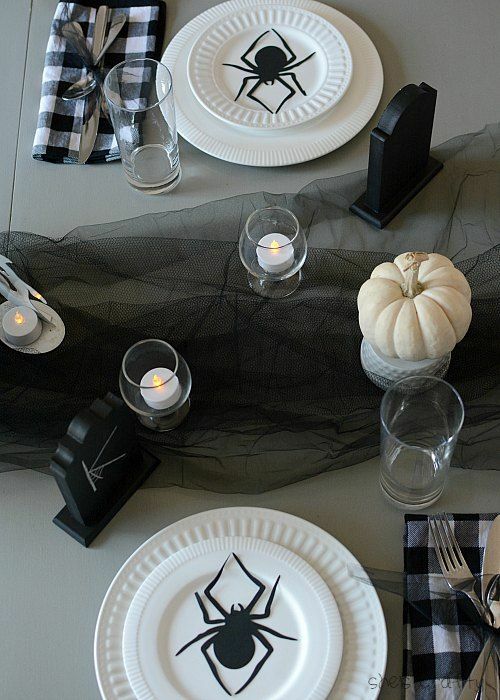 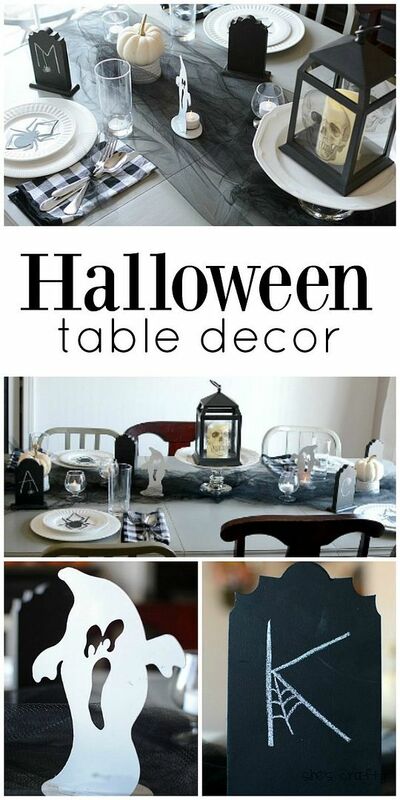 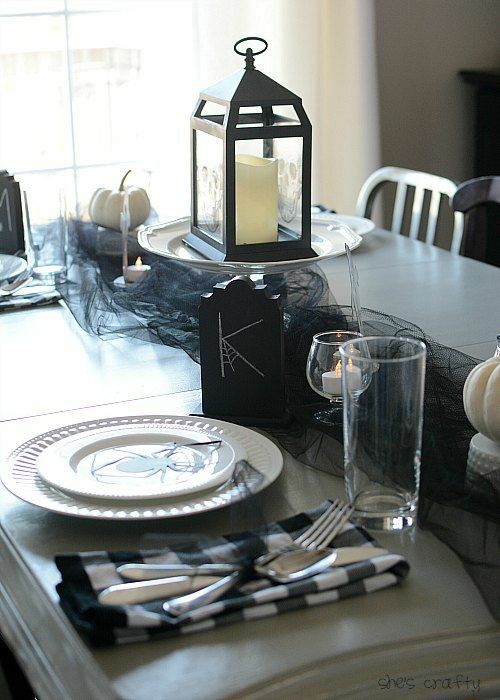 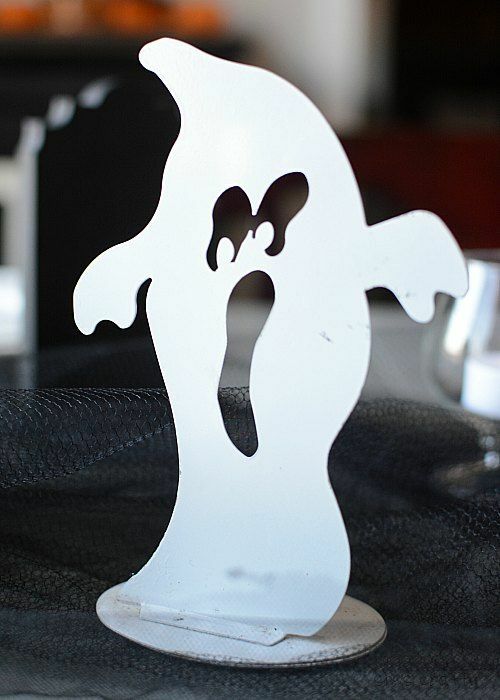 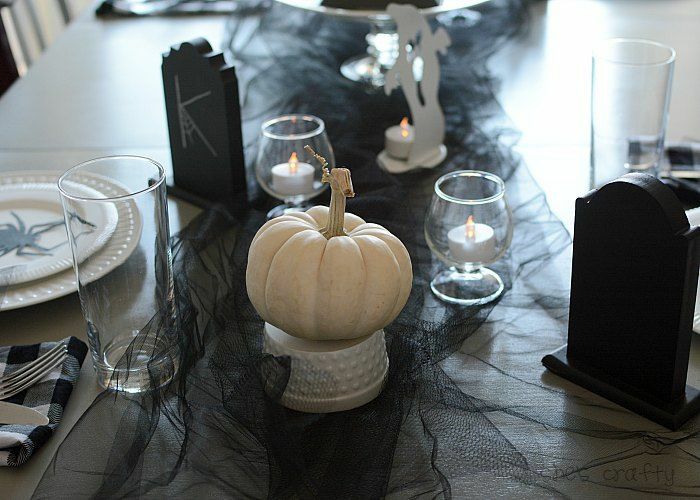 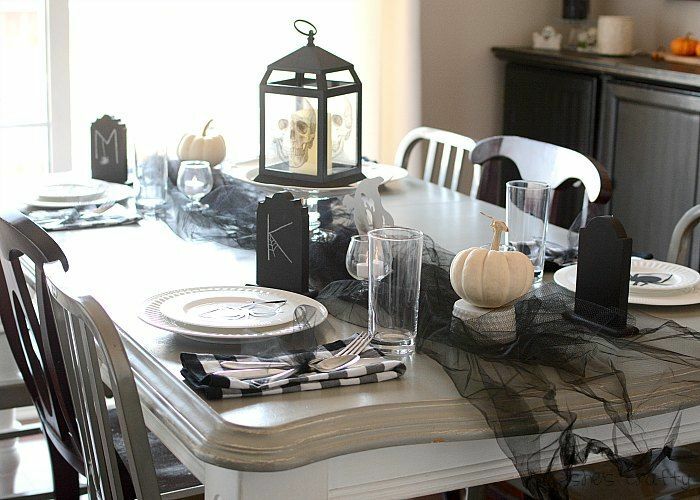 Decorate your table to celebrate this spooky season! 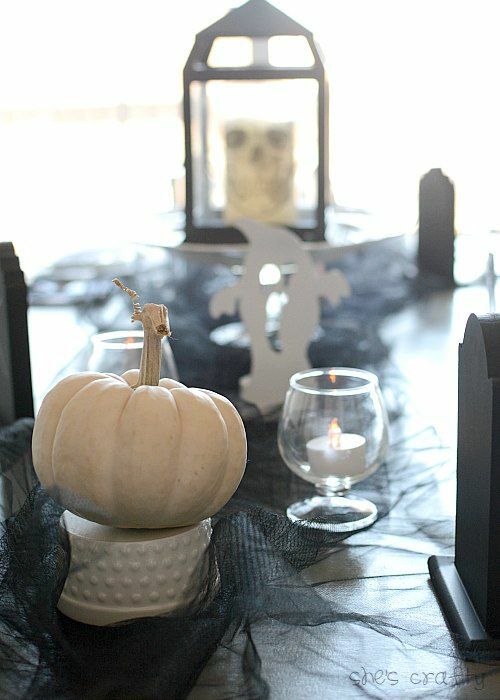 fun and spooky Halloween dinner! 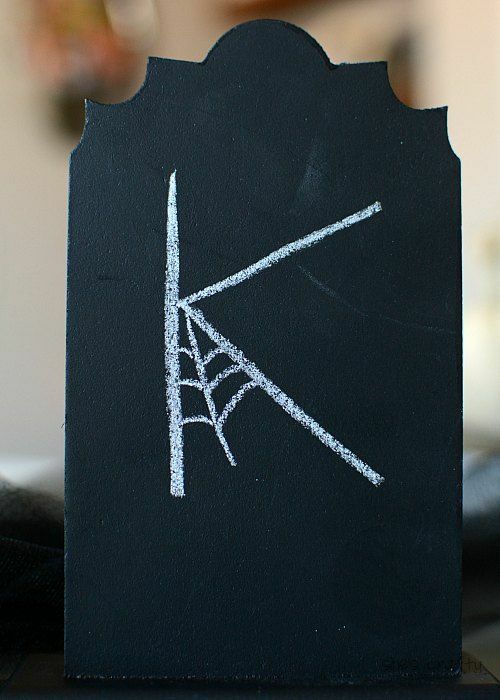 I found these cute, chalkboard tombstones at Michaels.